[MUSIC PLAYING] SPEAKER: The following is a presentation of the ILR School at Cornell University. ILR-- advancing the world of work. BETH LIVINGSTON: Welcome to our webcast here today, "Human Resources in the Workplace-- Past, Present, and Future." This webcast is part of a series of webcasts that ILR has been putting together in honor of Cornell's sesquicentennial, 150th anniversary, and the ILR School's 75th anniversary. We've been putting together a series of webcasts to highlight a little bit of what we do here, so an overview of different departments and different areas of expertise that our faculty and researchers and staff are able to offer the world of work. I'm professor Beth Livingston. I'm a professor in the Human Resource Studies Department here in the ILR School. And I am here to walk you through today's program. We have a lot of really amazing experts joining us here via video and live in studio today. Hopefully, you will get really great bird's eye view of what we do in HR studies, as well as where we think we're going in the field. We hope that you will find this to be a very interactive experience. So if you look at your screen now, you will see a paperclip icon a little bit below the screen. That has some additional resources and readings about our faculty and produced by our faculty. So hopefully, you will feel free to read those and learn a little bit more about what we do here, as well as a pie chart-- which if I ask you a poll question here momentarily, that's where you will interact-- and also the Q&A button below there too. This is an interactive webcast. Please feel free to ask us questions throughout. We will be stopping periodically to answer those questions and engage with you out there who are watching. And hopefully, we'll be able to make this a very positive value-add experience for everybody. 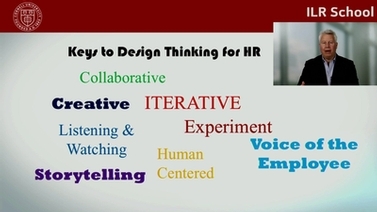 Again, this is a webcast that's meant to highlight where HR has been in the past. Some specific issues we think are of importance here in the present as well as how our expertise here in the ILR school are addressing these issues, and where we think we're going in the future. So hopefully, when you leave, you will be able to have a really high level bird's eye view of what we do in the field. So as an HR expert, I tend to see a lot of problems and issues through an HR lens. And so today, the sort of topics that we'll bring up, and we'll bring up a number of different topics that have a relationship to the workplace. We're going to be analyzing those through an HR lens. Hopefully, whether you are from the field of HR, you're an ILR alum, or you're just interested in what we're doing here, these will be accessible to you and have some relevance to you in your life. To begin, we really want to talk about HR, in general. So whether you're an expert or not in the field, human resources is something that touches all of our lives, all of us who work in any sort of organization. So I want to toss it first to a poll question and ask you a little bit about how HR is handled in your organization. So is HR an administrative function, managing personnel, or does it have more of a strategic role? So if you will click on the pie chart below the screen and participate in our poll, we'll come back and discuss the results of this poll here, momentarily. While you're taking that poll, I want to kick it out to a quick video to introduce today's topic. Our venerable chair here in the HR Studies Department, Professor Lee Dyer, is going to take you through a brief walk through HR's history up to the present day. LEE DYER: HR actually started back in the early 1900s, which back in those days, it was called personnel management. And over the years, it evolved into HR management through, what I would call, a cumulative series of three phases. The first phase took place well before the school started. It was early 1900s to about the 1930s. It was the day of scientific management, and the Henry Ford, and so forth. And the field at that time was just clerical operation, basically, with a few so-called welfare secretaries that would go out and check to make sure employees were leading good Christian lives. Then in the 1930s, the field entered, what I would call, its, really, maturation phase from the '30s to about the '70s. And of course, the school started in the middle of that. But it was a period where there was an attempt to really make improvements on the various activities that personnel at that time was doing. It was basically a field of industrial and organizational psychology and bolstered by a lot of research that was done by the military in World War II and then by academics after that time, including some people here at the school. So there were great improvements in staffing, and training, and compensation, and so forth. And the field began to get into management a little bit more. Then in the late '70s, early '80s, the field entered its strategic phase. I'm happy to say I was around to help that get started and moved along a little bit. And in that phase, the field finally became a full-fledged business partner in the sense that it was involved in helping to shape business strategies and then developing HR strategies that would support those business strategies, so a much more active role in the business. Now, I think we're just beginning to get into another phase. I'm not sure exactly how it will unfold. But there are people who are concerned that in the strategic phase, we got too much involved in the business side of thing and began to lose sight of the employee side of things. And so there is a move now, I think, to move the pendulum back a little bit to get that a little bit more even. And I mentioned that these were cumulative phases in the sense that you don't just drop one and start another one. They build on each other. And if you look at the research that's done in the school, the curriculum of the school on the HR side, you can see elements of all of these things, except the welfare secretaries. We don't do that one anymore, but elements of all of these things in the curriculum that we offer today. BETH LIVINGSTON: So I really liked what Professor Dyer had to say in that video. I like the idea that where we are today in HR is really path dependent on where we've been in the past. And there's this cumulative effect of where we've been and where we're going. And hopefully, today's webcast will continue to build on that idea. I want to visit the poll. Thank you for all of you who have participated in it so far. Really interesting results, that about 60% of you think there's really a combination of this administrative and strategic function-- really, this cumulative effect that Professor Dyer was talking about-- how it started out, really, from this personnel administrative function and added strategic on top of it. And indeed, it looks like the majority of you see that sort of thing reflected in your organization. It will be interesting to see how some of the future trends that Professor Dyer points out start to pan out in organizations as well. Here in the ILR School in the HR Studies Department, we study HR from many, many different perspectives. HR encompasses many different functions within an organization-- training and development, staffing and selection, compensation, diversity, strategic HR, as Professor Dyer alluded to in his video. There are many of these different topics that we faculty cover. And we help practitioners cover as well. Our Center for Advanced Human Resource Studies here is actually a really great tool and resource for students and faculty alike. One thing that we really enjoy doing is interacting with executives and ILR alums, who then move on to work in HR in an executive role, to really get an idea as to what's going on in organizations. It helps us to inform our research, and helps us to be able to advise and understand what's going on in the future. I'm really excited that we actually have a chance to show you a video of some of our CARS members and HR execs talking a little bit about the importance of HR from an organizational sense. After we hear from them, we'll move on a little bit into some more specific areas of HR. But hopefully, this will give you a little bit of an idea as to why we think HR is important. EVA SAGE-GAVIN: I often use the example that you know you're a strategic HR leader if you're working at a board level. And you're invited in at the most senior levels to look at a strategic business plan, and to actually provide value, and shape it. I like to push top HR leaders to think what is the value strategically only I can bring? Are there opportunities here that we're not looking at that, because of my human capital expertise, I can uncover new growth areas, new countries, new geographies, new lines of business? Are there risks strategically that we're not thinking of that I can develop agility, responsiveness, resiliency, and plan in advance? Those are two great examples working at the board level, adding value that you can add, and looking at both opportunity and risk. SIMON KING: You're a business leader, first and foremost. That if somebody sees you in a leadership team, they shouldn't know that you're from HR because you're engaged in the full business conversation. How do we apply our capital assets? What's the return on investment? What are our revenues going to be this year? That always, then, leads to a people conversation. You should, then, bring expertise. But you should always be in the context of what you're trying to do as an organization. The pace of change these days is so fast that you need to continuously be updated. And you need to be able to spot the trends that are coming versus just jumping on the ones that other people are telling you about. And hence, that continuous education is absolutely key. 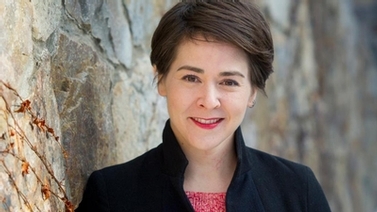 EVA SAGE-GAVIN: My favorite article is comparing CEOs to CHROs, Harvard Business Review, Q4 of 2014, in which the study found that CHROs are most like CEOs and CEOs or most like CHROs because of the strategic capability. And that's what's changing in the function in the field. It's what I was taught 30-plus years ago, and relearning, reinventing, every decade, every five years, every three years. SIMON KING: The difference for when you have really smart, talented scientists in place, with an environment where they can truly bring their best thinking, and they're focused on the data. It sounds really simple. But to create that environment, to bring talent in, to make sure the environment fits that, that the way that you develop and then you incent people rewards that behavior, is actually quite a tricky thing. And hence, the role that HR plays is working with leaders and organizations to make sure you have that in place. I think it's going to be fascinating in the next 5 to 10 years, particularly the role of analytics. Because up to now, we've had quite blunt instruments. But with the advent of having data, both around the business performance, around individuals, around what really makes a difference in terms of engagement and delivering, you're going to be able to predict where those hot spots are. And as an HR professional, you're going to be able to guide your leaders where to focus their time and attention. So with less effort, I think you're going to have far greater impacts. BETH LIVINGSTON: So what I really liked about this clip is I think you can really see how what Professor Dyer talked about, this move to the strategic phase and, really, HR becoming a business partner in organizations, you can really see how this has affected the career trajectories and education of our HR leaders, as you saw in that clip. There's really a discussion of how HR builds in in the boardroom and in the strategic phase, as well as how HR leaders interact with CEOs. But I also liked the idea of thinking about HR as, instead of just a business partner, as a business leader. And leader really implies this interaction with people and employees, that Professor Dyer alluded to as well as this potential future phase of HR, of really swinging the pendulum back a little bit towards managing people. I think you saw a little bit of that in the clip as well. I want to highlight one of our areas of expertise here in the HR Studies Department that had a really great segue from the video you just watched with Simon discussing the importance of analytics moving into the future. So analytics is one of those areas in HR that has been around. Metrics have been around for a very long time. But the importance of analytics is really growing with our access to data and our greater understanding of human behavior and organizational behavior. Here, in the ILR School, we have a real repository of experts who are great at this. And one of our foremost experts in that area, and including in areas of turnover and retention, is Professor John Hausknecht. This is one of the main areas, I think, that in the HR present, as well as moving into the HR future, is something that, both in education and in academic research, we'll be focusing on in the future. So let's hear a little bit about what Professor Hausknecht has to say about the importance of analytics and data. JOHN HAUSKNECHT: Well, I think we've seen a lot of companies starting to use data and technology both in the recruitment and retention space, especially in the last 10 or 15 years or so as technology has advanced the things that companies can do with data collection, data analysis, and reporting. So an example of that, we've heard of a number of companies that have collected large amounts of data on their applicants and use that to forecast future performance. And while that's not a new idea, the availability of data and the technology that's collecting it has grown so rapidly that the expansion of that to a wide range of companies, I think, is what you're seeing today. And the other piece too, in retention is, again, trying to be predictive about forecasting who's likely to leave. And so companies are spending a lot of effort to collect the data, build the systems, use technology to collect information on who's likely to leave, when they're likely to leave. You have both quantitative and, especially with technology today, a lot of qualitative data or what people have called unstructured data. So if you think about social media, chat, emails, all of that would be more qualitative and unstructured information that companies are trying to leverage, and analyze, and make sense of to try to predict these same types of outcomes. So it's a little bit different than what we're traditionally used to, which is a more quantitative, structured types of data that you'd see in a spreadsheet and could analyze pretty easily with your traditional statistics. So I think that's one of the biggest changes we're seeing in the analytics and data space. Some of the latest developments in what we're seeing with technology as applied to HR are some really interesting directions. But they also raise some questions about how far we should take this. For example, there are companies and researchers developing technologies that will track employee movements, so this sensor technology. It tracks sound, speech, and location to try to, again, get more information, more data on employees, and how best to structure the work environment to increase satisfaction and performance. So it has this beneficial aspect. But I think there's a lot of risk too because we don't know yet how employees are going to react to all this intensive data collection, just how far we can push with technology, and then, really, just how much value there will be in collecting all of this data from employees, from all of these sources, and is it worth the investment relative to the cost of both the technology as well as the potential privacy concerns or data overload that you might see companies facing in the future. There have been a lot of concerns raised about the privacy issue with all of this data collection and technology use. And I think what you see, the biggest thing, is that there's massive global variation in what's accepted, both by employees and legally. So for instance, in the European countries, they're much less-- they're more restricted in terms of what they can collect, how they can use it. And there's legal agreements that sometimes need to be in place before you can use certain data points or collect them. Here in the US, historically, we've been a lot more lax or permissive, I think, in terms of what we collect on employees. And it's typically been treated as the organization's data. So candidates may not know what's being collected on them or how it's being used. My sense going forward is that, like some of the other countries around the world, there may be considerable changes that are coming in the US in terms of how employees either opt in or opt out of having their data collected or used in employing organizations. BETH LIVINGSTON: I really like that video because the area of analytics, I think, is a very exciting area. We hear a lot of talk out there in the media about big data. You hear about that. You hear about data privacy. And I think it's an area that we in HR can really have a lot of impact and a lot of say, both organizationally and in terms of policy making. I think Professor Hausknecht made two really interesting points for me, which number one was the idea that we've had quantitative data in organizations for a very, very long time-- data on turnover, performance metrics, demographic data, for instance. But moving into this era of qualitative data-- emails, and web clicks, and chats, and IM functions-- and what that means for data and analytics in the future, I think, will be very, very interesting. I also like how he was talking about these issues of privacy, which I think in a global context will be very, very interesting moving forward. I think all of us here on faculty in HR studies are very interested in data because we all analyze it in one way or another. And today, we have Professor Brad Bell here with us in studio, who is an expert on training and development. And he is going to tell us a little bit about how data and technology affects his area of expertise. So Professor Bell, can you tell me a little bit about what are some of the current things we're seeing in training and development, maybe, particularly, along the lines of some of the things Professor Hausknecht was talking about in this video? BRADFORD BELL: Sure. So I think a couple of the themes that John and others have raised. One is certainly the technology piece. I mean, the impact of technology on training and development over the last, probably, two, three decades has been tremendous. I think the-- part of it is just the growth in terms of how much more training we're doing through technology than ever before. If you look at some of the benchmarking studies, it was in 2000, probably about 8% of training was being done through technology. And today, just 15 years later, we're at about 38-40%, so massive growth in that area. But I think even more interesting than the growth is just the advances in technology and the capabilities they have provided in terms of what we can do through technology in terms of training. So we can make training much more interactive. We can do simulations. These provide new capabilities in terms of what type of training we can do. It used to be we could just do transmit knowledge or share knowledge and information. And now, we can really build more complex skills. We can train leaders and supervisors through technology. So I think those changes, as well as what we see on the horizon in terms of what mobile technology may mean for doing training truly anywhere at any time that we've been talking about for a while. But I think this makes it a potential reality. I think some other changes that are interesting to look at in the training field is kind of the shift from individuals to more collectives. I think for much of our history, training has focused on training a person for specific capabilities to do their jobs. In the '60s and '70s, we started recognizing that we also need to focus on developing groups and teams. And I think what we've seen in the last few decades is really a focus on how do we think about learning at a organizational level? How do we manage knowledge? How do we facilitate innovation and creativity by connecting diverse experts across an organization? So it's shifted our focus from just individuals to more of this group, as well as organizational focus. BETH LIVINGSTON: Yeah, I think that those points are very, very interesting. And everybody out there, if you would please feel free to ask me or Professor Bell any questions that you want to ask, feel free. I will use our mobile technology to get those questions asked as soon as possible. So feel free to please submit those. But in the meantime, maybe you can tell us a little bit more about what you see occurring in the future in terms of this is HR-- past, present, and future. What sort of-- you've touched on a little bit. But what sort of things do you think are coming about in that area? BRADFORD BELL: Sure. I think there's a few things. And they really go back to these themes around technology as well as analytics that others have talked about. I think on the analytic side, I think the training field historically hasn't been very good about measuring its impact. It's an area where we didn't focus a lot of attention on it. And when we did, we would measure things like reactions, but not really go much beyond that. And I think that's changed, in part because training is more aligned with company objectives. So companies want to see that it's actually having an impact. But I also think the shift that we've seen in terms of analytics is pushing the envelope in terms of thinking about how do we really measure the impact of training. I also think we just have access, as John talked about, to new and exciting sources of data. So an example is thinking about things like MOOCs. When you have hundreds of thousands of people taking a course, that provides a incredible opportunity to think about looking at, well, how do different types of people do in that course? How do different strategies to engage learners work or not work? I mean, those have been issues that we've studied and looked at for a long time, but on a much smaller scale. And I think these new sources of data open up a lot of possibilities there. BETH LIVINGSTON: Do you think-- so we have been sitting here thinking about-- we're actually talking to people via technology. This is a technology that we at Cornell use a lot in training. Do you think there are negatives to using this? We've really kind of gone wholesale buy in to let's try to use technology as best as possible. Do you think there are negatives to doing that? BRADFORD BELL: We know there's negatives to doing that. I mean, take the MOOCs as an example. I mean, studies have looked at MOOCs and have found that the completion rate for MOOCs is anywhere from 5% to 10%. So 90% to 95% of the people that start a MOOC never finish. And if we look at corporate online learning, particularly, that which is voluntary, we see similar types of dropout. So I think issues around learner engagement are really critical, just as they are in any type of training. But I think even more critical online because people are really self-directed. They have to be self-motivated. They have to be self-guided. And so I think a lot of the work that we're doing here at Cornell, actually, in the area of learning and development is really focused on, how do we engage people? How do we implement strategies that really help them to better direct their own learning in those types of environments? BETH LIVINGSTON: I think that's a great point. We have a question from you folks out there watching us saying, basically, given globalization-- and I think this relates to somewhat what you were talking about just a moment ago-- how do we deliver training or train the trainers in low tech environments if they have insufficient connectivity, hardware, bandwidth, et cetera? So how do we make something that we could maybe more easily, efficiently deliver via technological means? How do we do that in areas that may not be as well connected? BRADFORD BELL: Yeah. I think it's a key issue. I think the advances in technology, on the one hand, you would think, well, it's requiring greater bandwidth and connectivity. But in some respects, those advances are also easing some of those demands. We've also seen rapid proliferation of technology and bandwidth around the globe. I think a related issue to that question, just to spin it a little bit differently, we know as we look at people who-- how do they learn online, we know there's big differences based on the type of access to technology they've had growing up-- the so-called digital divides. And so I think it's not just about how do we deliver it, but looking at the populations in different geographies or among different demographic segments to understand how that access to technology, how technology has been used as people have grown up. How does that influence how they'll perform if, say, they engage in online learning as a college student? BETH LIVINGSTON: Right. And I think that's interesting too for a couple of reasons. The idea, first of all, I feel like when you were talking there, you really did flip the script from how do we teach to how do people learn, which I think is a really interesting trend that seems to come out from what you're talking about. But I also think that it mirrors some of what Professor Dyer was saying before, which was that this trend may be the pendulum swung too far to this top-down. And now, we're really starting to consider bottom-up. And I imagine the area of training and development is one of those areas where we do have to think about customization, and engagement, and that sort of thing. BRADFORD BELL: Yeah, I think similar to what Lee was talking about at the beginning, people have defined technology and learning in three or four different waves. And I think the first wave was let's just throw everything out there that we can online because it's cheap, and it's efficient, and it's fast. And now, over time, we gradually have swung it back a little bit to realize not every type of learning should be done online, probably not everybody learns best online, to really trying to think about a more learner-centric model to online learning. BETH LIVINGSTON: I think that's great. And I did want to clarify. A couple of you have asked a couple questions which I wanted to make sure to clarify that a MOOC is-- we in academia talk about it too much. So my apologies for not clarifying. But a MOOC is a Massive Open Online Course. It's the idea that we may be able to create these large courses that are available to anyone online and deliver education much more cheaply, efficiently, in these large, bulk classes. I wanted to ask you another question here before we move on. So there are actually two questions here that I think are interesting. And I'll ask you both. And then you can figure out which one do you want to answer or both. So the first is can you give some examples of integrating the traditional training with more experimental learning-- so this blended model. And the second is really about how-- and it says, many companies are trying to steal fully trained people, so they don't have to actually invest in that. And is that something that you see often happening? BRADFORD BELL: Yeah, I think-- so to go to the second question first, I think it's something that we certainly see happening. But I guess I'd say, I don't know quite what the solution is, right? Because if we look at the surveys that are out there, what we know is that employees value developmental opportunities. It's one of the key reasons, if they're not getting it, why they leave our organizations, particularly, younger and more junior employees. So I think, actually, by investing more in our employees and doing a good job of developing them, providing them clear career paths, I think we actually hedge some of the risks in terms of turnover. But there's no doubt that if we do a good job at it, we're going to have people trying to recruit our employees away. I think the integration of technology or just this idea of more informal on-the-job learning is really a key area that we're trying to figure out. I think we've known for a long time that people learn through experience. They learn on the job. They learn socially. But if you look at what we do training and development wise, it's often a much more formal classroom-based model. And so I think what we're seeing is organizations trying to blend those two together. A great example that I like to use is the idea of user-generated content. So organizations are trying to take the idea of a YouTube, right? I mean, how often do we now learn how to do things by just going on YouTube, right? BETH LIVINGSTON: All the time. BRADFORD BELL: And so can we get employees to generate their own content that, then, they share with others in the organization through different technologies or processes. So it's blending that social experiential with a more structured type of format. BETH LIVINGSTON: I like that. And we'll ask one last question here before we move on to the rest. And then we'll have some more time for questions here at the end as well. Wow, we have a lot of questions that just came in, actually. So a couple of things here in terms of different issues about training and development. One person asked, do you really think that they should change the label from training and development to learning and development, to really focus on the idea of that engaged learner idea? And another question here in terms of training and development, in general, is how it might differ based on for-profit and not-for-profit firms. And if you see any differences or trends, like needs assessments, and that sort of thing happening. BRADFORD BELL: So I think on the first question, I honestly, I'm not a big believer in changing the name. I know we've seen that done. The American Society for Training and Development is now the Association for Talent Development. And we've seen them over the years have changed the name of from training to learning to performance improvement. Frankly, I think it's-- I understand the reasons for that. But I think it's more about what do we do as a function? How are we trying to impact the business? What type of programs do we run? Are we trying to be strategic? And so when I teach my own classes, for example, I talk about these distinctions between learning and training. But I say, at the end of the day, I think that distinction between learning and training is becoming so blended and so integrated that I don't think it's even a useful distinction to make anymore. On the profit and the nonprofit, I think, just as in many areas, I think, in training, we're seeing those differences start to fade away. I think nonprofit organizations are, in many ways, adopting many of the same practices and approaches that we see in for-profit organizations. I think the key difference is often one of resources and size, in terms of you might have a smaller training department or a person that's doing training in addition to a lot of other types of responsibilities. But again, here at Cornell, I often have students from the nonprofit sector taking my training class. And I always tell them a lot of what we're talking about is not either corporate, or nonprofit, or government, or military. I think good training is good training, no matter where it's done. BETH LIVINGSTON: I think that's a great point, actually. And I want to transition us off this part of the Q&A. And we'll come back to Q&A here later. But I think there is actually a really good question here that will segue us, talking about best practices in efforts to diversify the workforce and empowering recruiters. That is one thing we haven't really talked a lot about is how these issues of analytics training and development-- we've talked about the individual in this a little bit-- but how that might affect diverse populations differently. Growing globalization, we all know some of our questions have alluded to that. You're going to be working with different people. Professor Bell noted this idea of thinking about how we train groups and teams, right? Teams are often diverse, particularly in these large organizations. One of our professors here in the HR Studies Department, Professor Lisa Nishii is an expert on diversity and inclusion, particularly at the group and team level. And we're going to hear a little bit from her about these issues and the importance of best practices in this place. LISA NISHII: These various diversity best practices that companies have in place help to attract people to the company, help companies to hire diverse talent. I think what really sets the better companies apart is their ability to keep that diverse talent, but not just keep them, really develop them, so that they are advancing within the organization and starting to be represented at higher levels in senior leadership. And then in the most ideal case, diverse talent-- they're just fully integrated. And so they're really part of the everyday decision making, not treated as representatives of their group, not just there to help organizations to reach niche markets, but really are part of this strong learning orientation, learning agility-- this idea that we can leverage that diversity of perspectives. A lot of companies talk about that. But the reality is that it's hard to do. It doesn't just happen. You can't just hire diverse talent and expect that it's going to happen. And so I think that the really good companies are the ones that realize that, and are extremely proactive in many, many small ways and big ways about making sure that that happens, and not leaving it up to chance. Diversity shouldn't be an appendage of HR, something that is happening over there with diversity practices targeting primarily people in these historically marginalized groups, but instead needs to really be embedded in everything that we do, right? It's just good HR at the end of the day. And some companies, frankly, are just doing that better. And it takes this meticulous attention to detail. I think more companies are talking about it. More companies are aware that you can just do HR, and leave line managers to manage as they will, and expect this deeply embedded unconscious bias to go away. It's not going to. I think some managers think that it's the soft stuff that I don't have time for, the touchy feely. And they dive right into the work. But the team's research, so this is [INAUDIBLE] research, shows really clearly that it's the team leaders who pay attention to both the people stuff, taking the time and the space to make sure that the teamwork is unfolding smoothly, and they pay attention to the task stuff, what the team is trying to do. Those are the teams that perform really well. But most team leaders just dive right into the task. And they don't have the social glue that makes the team work well. And so, yeah, it can be anything from the company picnics. But it's just actually making sure that we're interacting in a meaningful way with people at work. Sadly, we can't take that for granted. BETH LIVINGSTON: So I really liked how this video, I feel like, really bookends some of the expertise we have here amongst the faculty in the HR Studies Department. Throughout, we've been talking a little bit about the pendulum swinging from strategic to this individual, interpersonal level. And I think if that does indeed begin to swing even more so that way, I believe that work like Professor Nishii's doing in diversity will become increasingly important as we look at how the strategic decisions HR makes really filters down to the individual level and how it translates to the individual experiences of employees. Also as a fellow diversity and inclusion researcher in the area of gender, and work, and family, I find these things to be very, very interesting-- how the individual lives of employees are really affected by the strategic decisions that HR is making. So you've seen a little bit of our faculty from the academic side in terms of what we're really doing, what we're looking at, and researching, what we find exciting, what fires us up, and a little bit about how we see HR here in the HR studies department overall. I want to transition just a little bit here for the last component of this webcast about what we see the future HR leader being, and how that translates into our curriculum here, and how we train those future leaders. So I'm going to transition a little bit into that and introduce you to Professor Chris Collins, who is going to talk a little bit about how we approach HR education. And you'll also hear from a few of Professor Dyer's students about how that's affected their lives. CHRISTOPHER COLLINS: So Lee Dyer walked you through a whole bunch of scenarios of what HR was across three different periods of time. And in reflection of that, we spent a lot of time doing research on what makes the great HR leaders of today and what's going to make the great HR leaders of tomorrow. And we came up with four main groups of what we would think of as competencies. The first is really how well do you know the HR function and how well do you know the key levers within HR. Second category is how well do you know the business? How good is your acumen regarding how the business performs, makes money, creates value for customers? The third is really around great leadership competencies. As all leaders are, you have to be able to manage, excite, motivate your employees. So part of it is around leadership competencies. And the fourth is what we call HR leadership competencies. And these seem to be the biggest differentiators. There are things like courage, ability to do coaching, ability to be more of a consultant-type person inside the organization. It's the ability to influence without lying, authority, or power. And so those things really seem to be what differentiates people and where we're increasingly spending our time thinking about, both at the executive level, the master's level, and undergrad levels, is how to develop those skills which are a little bit harder to train. And how do we start thinking about, as faculty and bringing in external experts and external executives, how do we really start to foster and develop that set of competencies within our students? 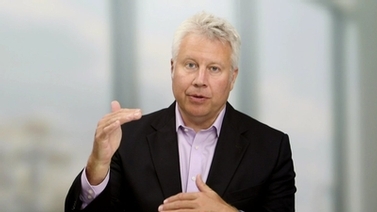 MATT LAKES: Talking to my dad about his experiences 20 or 30 years ago, HR was a cost center. It was something you had to have in your organization just for compliance, for day to day transactional things. But that's not what we learn here. Here we really learn about strategy. We're in courses with the MBA students about leadership, about finance, those sorts of things. So when we get into the workplace, we can be a business partner and really make a contribution. I think in the world today, being as competitive as it is, that old saying about, "people are our greatest resource," is becoming more and more true and not just something you pay lip service to. And being able to strategically deploy those people, get them doing the right things at the right time at the right place, that's obviously going to be a big task for HR. KIM SCHULTZ: HR is really more focused on metrics now, which will allow us to be a lot more credible, I think, to other functions within organizations. I think before we were kind of viewed as a support role. But now, that we have these tools at our disposal with big data, and things like that, I think that on the horizon we have a lot that we could impact companies with. SAAD MOHEET: I think HR's value-- I believe HR's value is really growing in the world. "We have fought hard for our seat at the table," quote unquote. And I think what this field really needs now are well-rounded, well-equipped HR leaders from at the ground level, all the way up. We need to build out capabilities on the technical side-- that quantitative side I was referring to earlier-- maintain our relationship focus, but more than anything, understand the business, and how the business makes money, and how the business operates. So if anyone were to consider HR or a future in HR, I think these are the three major buckets they need to perfect to be equipped for a good future in HR. BETH LIVINGSTON: So what I really like about that video is, without even prompting, I think you saw the impact of our faculty and that curriculum coming through in what our students were talking about-- talking about metrics, talking about the way the field of HR has evolved from the past, into the present, and hopefully into the future. So you can see that impact, I think, on what we're doing here and the way we see HR. I want to quickly move and ask Brad-- and please, feel free-- this is a component. The last 10 minutes of this conversation, I'd really like it to be a conversation. So please continue to spit us out some questions. And we'll be happy to address them. Brad, could you tell us a little bit whether you feel like some of these ideas that Chris was talking about, in terms of educating future HR leaders, how and whether you see that happening in your classroom. BRADFORD BELL: Oh, absolutely. I think it's partially a change in the content in terms of what we're focusing on as Chris talked about-- the different buckets of competencies that we think are important. But I think also a shift in terms of how we're training our students in those different areas. I think, in part, as we've moved to some of these-- what he called the HR leadership competencies-- these softer type skills, I think that's necessitated a different approach. For example, we bring in leaders so students can learn from other leaders and figure out, how did they approach some of these difficult situations? I think we're doing more case projects, live case projects so students can actually get out, and wrestle with some of these issues themselves. And doing things like flipping the classroom, so our students do some online work before they come into the classroom to get that foundational knowledge, but then really come in and focus on critically thinking about these issues, wrestling with them with their classmates. So I think the changes in the curriculum have also changed how we deliver that curriculum to our students. BETH LIVINGSTON: Yeah, I've found that to be the case in my own classroom when I've been teaching. And it's really, I think, fun for me to teach students from different backgrounds. So you mentioned this idea of this of melding of nonprofit and how when you're teaching you're saying, whether you're going to be in for-profit corporate HR, or nonprofit, or government, or military, what have you, it's really about how do you train the best way. And I really enjoy teaching that way because I think in the master's program here, and also in our undergraduate program, we really do have a lot of diverse interests. And it's really a challenge, but I think a good challenge for me, as a faculty member, to think about, well, how do these things apply outside of your typical, traditional, corporate HR structure? And I imagine with so much of the early work on training coming out of military research, and that sort of stuff, of really adapting that to a for-profit, and then moving it back, and adapting it to just people in general, and how they learn, so I think it's a good exercise for us as academics. But hopefully, I think it translates over to what the students get out of it as well. BRADFORD BELL: Yeah, I think it's a great part of our program is the diversity that we have, not only in the students in our program, but the students that come into our classes from other areas. So like you've said, I've had students in my training classes that have been from all different types of programs. I've had Cornell employees in those classes. I've had people that are entrepreneurs, and are starting their own business, and want to figure out how to train people as they ramp up their business. And so I think all those different perspectives provide our students with a very holistic view of HR, as well as different types of businesses and how they function and operate. BETH LIVINGSTON: Yeah, I feel that for the last 45 minutes I've been selling why our department is the best department in HR. But I do think that we have a very unique perspective on it and on how HR has really moved from past, present, and future. I want to take a few minutes to answer some of your questions now. And Professor Bell and I will both try to do that to the best as we can. I think-- so there was a question here that was asked before we went to Professor Nishii's clip a while ago talking about how to encourage persons with disabilities to consider employment-- to focus on, for instance, on web and recruitment materials, focusing on the inclusion or the inclusionary nature of the field, and how this might also affect veterans. I think this idea of how we promote our culture in organizations is a very interesting one. So Professor Nishii talked a little bit about [INAUDIBLE] these climate for inclusion in different groups. And Professor Collins has looked at recruitment branding, for instance, at this HR, and how this effects. So I think there's really a melding of that in how we communicate who we are. Because it's very hard-- both the potential employee and the organization are dealing with this ambiguity of information and this dearth of information about each other. And neither-- they may be in the prisoner's dilemma of what we share with each other and to be able to get the best outcome. And I do think that talking about the inclusionary nature of your company is an important first step to attracting individuals with disabilities and veterans as well. But I think even more so than just putting, we're inclusive, you have to walk the walk as well, and having representatives who-- so for instance, just like Professor Bell and I were talking about bringing in leaders and learning from leaders, I think it's equally important to have representatives who are in the organization working with disabilities, who are veterans, to demonstrate, actually, this is how it's been working in this organization. But I think it's a first step to market yourself in a certain way. We do know from research that the media and the message matter in terms of diverse audiences and inclusion. But if you really want to retain those people, then there has to be action behind those words as well. Another question here, which maybe, Professor Bell, you can talk to a little bit is, what technical or analytical skills do you think current and future HR professionals are going to need to stay competitive? BRADFORD BELL: Yeah, so I think it's somewhat of a difficult question to answer right now because companies are so different in terms of how they approach analytics. So in some organizations, they hire a group of [INAUDIBLE] psychologists, PhDs that are out there really doing the analytic work. And so your role in HR is you need to understand how to interpret that work, how to make sense of it, how to take action based upon it. Whereas I think in other organizations, they're trying to push more of that work out to their HR business partners outside-- out of the COE, more to people that are out there in the field. And so I think, in that role, then you might be in charge of figuring out, what type of data should you be collecting? How do you analyze it? How do you present it to people in a way that makes sense? I think what we try to do here is to try to give our students both perspectives in terms of understanding. What does good data analytics look like? I mean, it's basically, what does good research look like? But then also on the flip side, how do you communicate that information to people so that they can take action upon it? If you're the one receiving the information, what type of questions should you be asking? So I think right now, people in HR need a fairly broad skill set. I think as analytics matures, we'll see a model shake out which will probably give greater clarity to exactly what people in HR do need to know and maybe what they don't need to know. BETH LIVINGSTON: Yeah, I think it's been interesting seeing how many students have come up and said, basically, OK, so I mentioned I was interested in analytics. And now, this company is going to hire me to do this job in analytics. And I really need to know more about what this is. So the fact that they even mentioned any sort of interest at all in analytics cued this company to really put them in that division. And understanding what that looks like is going to be very interesting, I think, moving forward. But I do agree. I think the first step is really understanding how to interpret those things, and then basic statistical work moving on behind that. So I think we can take one more question here to talk a little bit about of for instance-- OK, so this relates a little bit to what we were talking about before about learning and development versus training and development. But I think it's a broader question. So maybe, we can both speak to that. Any suggestions on rebranding HR, so people calling it people and culture, people and organizations, talent, that sort of issue, in terms of flipping this script of so many people-- so about 20% of our audience said their organization still thinks of HR purely as an administrative role. And the word HR is often connected with that administration. Do you think, in that case, rebranding is important? Or do you still think that it really comes down to what you do? BRADFORD BELL: Yeah, I think, I've talked to people. And, again, some will say, oh, we should be rebranding ourselves around human capital management. Or we should be labeling ourselves differently. And I think, when I talk to people that I think are doing this really well, they call themselves chief HR officers. They call their departments HR. I think we often try to, maybe, think about rebranding ourselves when we're not happy with what we're doing, or maybe we're trying to give a different spin on what we're doing. And again, I understand the argument. But I think it's not about what we call ourselves. I think it's more about, what do we do? How do we partner with the business? Are we really experts in our area? Do we have some of these HR leadership competencies that Chris talked about? If we have those things, I think we can call ourselves whatever because we'll be offering value to the company and doing good work. BETH LIVINGSTON: And I think that relates to the final-- I wanted to bring this question. So I know I said last question, but I guess I lied. This idea on whether HR professionals themselves can influence a changed perception of HR in the organization, in terms of if you understand the business, if you're doing that. Can you as an HR professional, even if you're not the chief director level of that department, can you help to change people's view of HR in the organization? BRADFORD BELL: I think absolutely, right? I mean, I think probably for most employees, their view of HR is shaped by whoever that person is that they're working with, whether it's the person that is their HR business partner, whether it's the person in the service center that they talk to. So I don't think it's just the image of HR is shaped by just the person at the top. I think that's important. But I think it's about all the people in HR because, for many employees, that's their experience of HR, not interacting with the CHRO. BETH LIVINGSTON: Right. And I think also, to speak to this person's question, I think HR professionals getting to know the business and understanding where-- I think a number of our speakers, on video and Professor Bell here in studio, have mentioned the importance of understanding the business. Professor Collins mentioned that this is one of the main competencies. You have to know HR, but you also have to know the business. And learning that language, to speak the strategic language, to speak about how people can help us reach our strategic goals, I think, can help, even if you're in an organization that sees HR as an administrative function. If you're in that organization, and you start being able to provide a value-add to say, look, I understand what you're doing in operations. Let me tell you how we can help you. I do think that that can help change. Can you always change these things from the ground up? Absolutely not. But I do think, like you said, people's impression of HR really comes down to the person in HR that they interact with on a regular basis. And if you can be the best at that as possible, if you're in HR now, I do think that can change minds. BRADFORD BELL: Absolutely. BETH LIVINGSTON: So this has been a great webcast. There are so many more questions, particularly as a diversity researcher, that I would love to counter. I guess we will have to do another webcast just on diversity, so that I can get to those questions. But unfortunately, we're out of time. I do want to leave you on what I think is a really good note back to something that Professor Collins wants to say. So we're going to ship you out to an outro video from him. I want to say thank you for all of your great participation and for joining us here today. And feel free to continue to be involved with the ILR School and what we do. There's a bunch of resources available at that little paperclip link. And engage with us. We do do a lot of things. And we as faculty members love talking to alums. We love talking to execs and non-execs alike. So please feel free to engage with us. And thanks for joining us. CHRISTOPHER COLLINS: I think what's so exciting about the HR function today is just how dependent organizations are on the HR function to really drive performance. That organizations have become so lean, they have so little room for error, that everything's coming down to the talent that they have in place, the leaders that they have in place, and our ability to attract the best and brightest to our organizations. And that's the key role of HR, right? So if we're not excited about HR today, we never will be. This is going to be, to me, the key linchpin of whether or not organizations survive and succeed. [MUSIC PLAYING] SPEAKER: This has been a production of the ILR School at Cornell University. In a May 7, 2015 webcast, ILR faculty and senior HR executives discussed the importance of human resources in modern organizations and how the field has evolved from an administrative function to a vital piece of a successful organization's business strategy. The program highlighted some of the latest issues and trends in diversity and analytics and address the impact of technology on HR practice as well as expectations for HR leaders of the future. ILR assistant professor Beth Livingston moderated the conversation, featuring insight from Brad Bell, ILR Associate Professor of Human Resource Studies and Director, Executive Education; Chris Collins, ILR Associate Professor of Human Resource Studies and Director, Center for Advanced Human Resource Studies (CAHRS); Michael D'Ambrose '79, Senior Vice President of Human Resources, Archer-Daniels-Midland Co.; Lee Dyer, ILR Professor of Human Resource Studies; Eva Sage-Gavin '80, ILR Executive in Residence and Vice Chair, Skills for America's Future, Aspen Institute and Former CHRO - Gap Inc.; John Hausknecht, ILR Associate Professor of Human Resource Studies; and Lisa Nishii, ILR Associate Professor of Human Resource Studies and Chair, ILR International Programs. 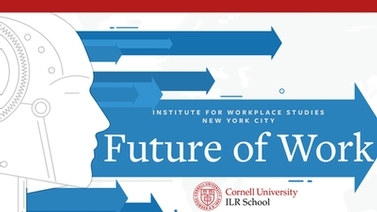 The 2014-15 ILR Online webcast series features programs with a "past, present and future" theme in recognition of Cornell University's 150th anniversary and the ILR School's 70th anniversary in 2015.